Imagine if Saddam Hussein has survived this war. Imagine him 10 or 20 years from now, forgotten and powerless, living in some seedy hotel in Syria, mustache intact but white now, black beret and olive drab uniform faded and frayed, buttons straining at his belly. He'd probably see nothing to apologize for, don't you think? He'd probably be ready to defend his rule over Iraq to any listeners, with arguments, documents, lawsuits, petitions. He'd probably still exist in an utterly impenetrable fog of self-deception, with some tattered loyalists around to shore up his wobbling narcissism if reality should threaten to open any cracks in it. 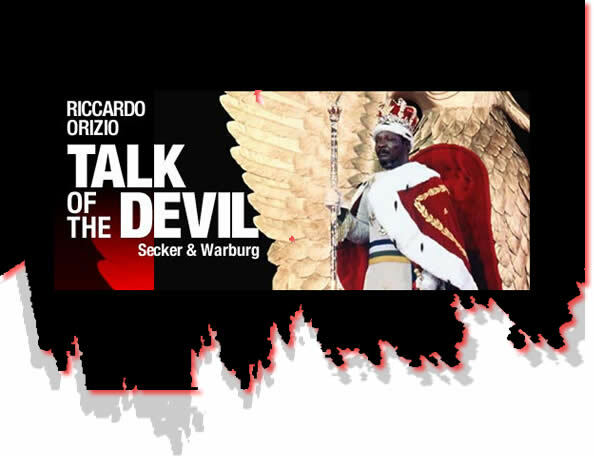 Anyone who reads Italian journalist Riccardo Orizio's book "Talk of the Devil" will be able to make some pretty good guesses about that scenario. Orizio had the interesting idea of tracking down all the disgraced former dictators he could find and interviewing them. The result is by turns eerily comical, horrifying, ridiculous, depressing and just plain strange. Many readers may be surprised, in the first place, to realize how many former tyrants are still around. They tend to disappear from the world's consciousness after they're safely out of power, but Idi Amin Dada, for instance, hangs out in hotel coffee shops in Jidda, Saudi Arabia, with some relatives and hangers-on, and spends a lot of time at the gym. 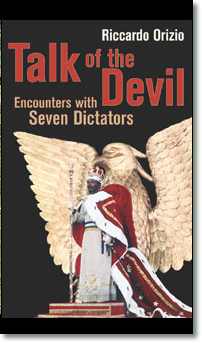 None of the seven dictators and spouses of dictators Orizio interviews claims that the devil made them do it, despite the book's title (translator Avril Bardoni seems to have done a nice job, but didn't she realize that the idiom is "speak of the devil"?). They say either that circumstances forced certain "excesses" or that they didn't do anything wrong. The figure who probably does the most convincing job of self-justification is Wojciech Jaruzelski of Poland, who claims in a cold rage that he imposed martial law on Poland in 1981 only because the Soviet Union would otherwise have invaded to restore order, which would have been much worse. Bokassa's defense is probably the least convincing, but then again, he also claims that Pope Paul VI secretly named him the 13th apostle of Jesus. At home they had another name for him: "the Ogre of Berengo." When he was ousted, Orizio tells us, they found dozens of cadavers of student leaders in the freezer of one of his residences. One of the most chilling episodes is his meeting with Mira Markovic, wife of Slobodan Milosevic, who's been in the news lately, having fled to Russia to avoid being arrested in the death of former Serbian President Ivan Stambolic, a foe of her jailed husband's. She coos baby talk to hubby over the phone in Orizio's presence and tells him that she still finds " Slobodan Milosevic very attractive. A really handsome man, my Sloba." "We were the first to fight terrorism and the Islamic extremists," is how she describes his reign of massacre and ethnic war. All in all, it's a sorry parade of lust for power, egotism to the point of psychopathy, blindness and cruelty, with the banality of evil sweeping up behind. Orizio has a fine ear for irony and weirdness and likes a good punch line. During Amin's reign, he writes, Amin scolded his foreign minister at a meeting that was being filmed by French cameramen. "A camera catches the wretched man, his head buried in the papers he is carrying, all too aware of the tragic destiny that awaits him." It's not until a page or two later that Orizio mentions that it wasn't true, as Amin later boasted, that he'd eaten his foreign minister. Michael Ondaga "was in fact simply found, dead, among the crocodiles of Lake Victoria." Orizio clearly tried to stay on his interviewees' good side in their presence (who can blame him? They're jointly responsible for millions of deaths) but generally gets around to politely asking each one about his or her atrocities -- what about those cannibalism charges, your excellency? -- and only rarely expresses righteous anger on behalf of their victims. That the ironic coolness of his tone is the result of repressed outrage, though, is always apparent.